Originally published (in part) in the Canadian HR Reporter on September 24, 2001. Reprinted with permission. David has been a senior manager of a large furniture manufacturing company for eight years. He continually avoids conflict and aggressively shuts down people who try to refute his decisions and plans. David has a high staff turnover. During an exit interview a promising junior manager, Helene, said that David could not deal with her or anyone else who disagreed with him - whether it was on ideas for sales promotions, company policies, project time lines and so on. Helene added that she could not work in an environment where any suggestions to her senior manager were ignored or taken as a personal attack. Martha was recently appointed to the position of vice-president of marketing for a major transportation company. The rumour is that the previous VP was relieved to be transferred because most of the staff are confrontational and the mood of the department is negative. There are eight direct reports, including support staff. Martha was surprised she received this appointment because the competition was high. Her previous manager supported her application, but warned her about the department's history. He wondered whether Martha would have trouble with the staff, given that she has typically avoided conflict and is considered weak in her ability to deflect conflict in the workplace. Joan has been negotiating for years as the CFO of a film company. She has been in this position for four years. Joan negotiates with many of the same people over and over and is fairly successful in her ability to deal with the aggressiveness of her colleagues. However, she often questions her negotiation techniques and finds she is quite anxious before and during the process. Joan is about to enter an important negotiation and is in a position where some major cost cutting is necessary. She knows the people involved will be their usual confrontational selves and more so, when they realize she is in no position to yield to their expectations. David, Martha and Joan all face challenges in which they encounter conflict. Like many people in their positions, dealing with conflict is a part of their daily lives. Theirs' are not unusual scenarios. Every one of us encounters situations on a regular basis that have an impact on how we relate and work effectively. Of course, coping mechanisms vary and some people manage conflict better than others. In any case, all of us have the capacity to improve this skill. Conflict is an inevitable consequence of interacting with others. Typically, we don't think of conflict in positive ways. If asked what comes to mind when the word conflict is said, people often respond with terms such as upset, struggle, turmoil, anger, distracted and so on. As a consequence, many people prefer to avoid the issues. However, as complex as it may be, conflict is an opportunity for both growth and learning. Workplaces that understand and accept this premise are in a position to provide their human resources with tools that effectively influence the organization's bottom line by reducing conflict and stress, thus improving the work environment and staff wellness. In recent years, there has been a growing trend in which businesses and organizations have instituted dispute resolution programs, to prevent and resolve conflict in the workplace. The expense of litigation, restructuring, management changes, mergers and a range of other factors have resulted in the need for initiatives to resolve disputes, before they escalate to immeasurable heights. The cost of conflict to organizations far extends beyond legal expenses. The morale, work environment, energy and productivity of staff may all suffer. In addition, time and the reputation of the company may be lost due to disputes in the workplace. However, negative outcomes of conflict may be avoided, whether it pertains to interactions between co-workers, between management and staff or any combination of these and other levels of the organization. Programs that include mechanisms such as mediation, facilitation, peer review and other forms of dispute resolution, are one way to prevent and diffuse conflict, improve working relationships, increase productivity and save organizations money. Stated simply, the operating premise of an organizational dispute resolution program is to help staff in conflict reach a mutually satisfactory resolution to their differences and to facilitate a continuing relationship, that is compatible and constructive. Dispute resolution programs may also be designed to help prevent conflict. By providing systems to address conflict, organizations instil a philosophy of conciliatory problem-solving and the importance of sustaining a climate of respect. What better way to keep legal costs low, retain good staff and maintain a reputation for treating employees fairly? A unique tool to add to the box of methods to prevent and address conflict may be found in the burgeoning field of coaching. Coaching is an alliance between a trained coach and a client who essentially wants to improve and enrich one or more aspects of their lives. Just as people hire a coach to be a personal trainer for an exercise regime for instance, there are coaches who apply their skills to help people realize their personal and professional objectives. Whether to gain better balance, to articulate and clarify a vision, to develop a mission statement for life or work, to better manage time and tasks, to make a career or relationship transition and so on, coaching is gaining a foothold in organizations and corporations, in small businesses and at a personal level. The role of the coach is a combination of different functions such as a personal consultant, supporter, advisor, motivator and trainer. At an organizational level, human resource professionals may be involved as a coach in such matters as career development for staff. Assisting all levels of staff to improve performance, productivity and potential are other common objectives of corporate coaching. External corporate coaches are also hired by companies to perform these tasks and others, such as helping stagnant or stumbling executives to reorient and strategize their goals. A unique coaching model that unites the field of coaching with the field of Alternative Dispute Resolution (ADR) presents a practical paradigm for the workplace. Coaching conflict management, also known as conflict coaching, may be considered a preventative form of dispute management. Such a model appeals to executives, managers/ supervisors, team leaders, call centre staff, customer service personnel and others who require a range of skills to properly perform their job functions, with minimal tension due to conflict. This model acknowledges that resolving conflict is an ongoing part of the job that most people do as one of many tasks carried out in the course of a day. Not all people are well-equipped to do so effectively. While many persons have strong and viable skills in this area, others are not adept at handling disputes, between themselves and others or among two or more staff. Avoiding conflict, providing perfunctory and ineffective responses and taking punitive and ill-conceived measures to resolve disputes, are common but unsatisfactory ways that conflict is commonly addressed. The consequences of addressing conflict in these ways can have a significant impact on an organization's bottom line, in terms of the extent to which unrest, anxiety, stress, anger and other related emotions adversely affect productivity, staff and customer satisfaction and other costly casualties of conflict. 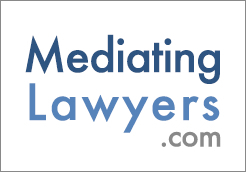 The basic concept of this specialized model shares a number of aspects with interest-based mediation in which a mediator helps two or more parties resolve a dispute. For instance, the coaching model employs a confidential forum for facilitated communication. Further, a staged approach is used in which coaching clients consider and identify their underlying needs and interests in a series of self-identified conflictual situations; they create and review options for resolving the various conflicts; and, they evaluate which alternative ways of dealing with the situations may be most workable and why. Clients methodically examine optional ways to address conflict by also considering the other party's possible needs and concerns. One of the main exceptions to employing mediation principles is that the coaching model employs a one-to-one liaison between the client and the coach. Coaches work directly with clients whose primary objectives are to improve their skills in conflict management and reduce the inherent negative consequences. Coaching may be conducted in person or by telephone. Meetings or calls usually take place on a weekly scheduled basis for a specified period of time, e.g. 45 minutes. Unlike mediation as a dispute-specific forum, conflict coaching clients consider many types of disputes and ways of approaching them. Coaching also requires clients to conduct self-analysis through assessment tools and to perform fieldwork tasks, in preparation for coaching sessions. During coaching sessions, clients analyse a series of disputes and effective approaches to them. The hands-on directiveness of the coach and the nature of the model require clients and the coach to work synergistically on ways to change conduct that does not work and replace it with new coping behaviours, which are examined in coaching sessions. Alternate ways of addressing conflict are worked on with the guidance of the coach, who may use role plays, discussions, review of fieldwork exercises and other methods to facilitate the coaching process. Conflict coaching workshops and teleclasses are also used to help people develop their skills through experiential group programs aimed at helping people further hone their abilities to prevent and resolve conflict. Conflict coaches support and champion clients in a non-judgemental way throughout the process of self-discovery. Coaches similarly do not judge their clients' "opponents". Rather, they operate on the basis that everyone's needs are specific to them and are respected as individual realities. A conflict coaching approach helps people separate themselves from the dispute to the extent necessary to gain a more objective perspective. In turn, this approach also provides significant opportunities to transform behaviour in constructive and positive ways. Conflict coaching does not apply only to individuals in organizations. Groups of people who work together may encounter continual conflict that is destructive to their morale and productivity. Accordingly, groups of co-workers also benefit from coaching and team-building that focuses on the conflict coaching model. This is not only to resolve a specific dispute, but also to gain tools to address and prevent future conflict that may arise. In fact, conflict coaching applies to anyone interested in enhancing their skills in handling disputes, whether on a professional or personal level. As another example, this form of coaching is of great use to people about to engage in mediation and negotiation. Helping people understand the processes and preparing them to effectively participate is an application of this unique coaching model. In organizations there is often a tendency to sweep conflicts under the carpet or put bandaids over them. Denying their existence does not of course, make them go away. It is obvious that staff will not flourish and be productive in an environment of discontent. Organizations will lose the people they need most, as a consequence of a negative workplace. Coaching conflict management provides value-added to companies and their employees in many ways. As a starting point, conflict usually costs money, time, energy, morale and otherwise adversely impacts on the quality of the work environment and the reputation of the organization. It is likely that internal disputes and the challenge to the equilibrium of a workforce have a negative effect on some or all of these variables. Providing people with effective ways to prevent and resolve conflict in the workplace cannot help but result in a healthier and more productive work environment.